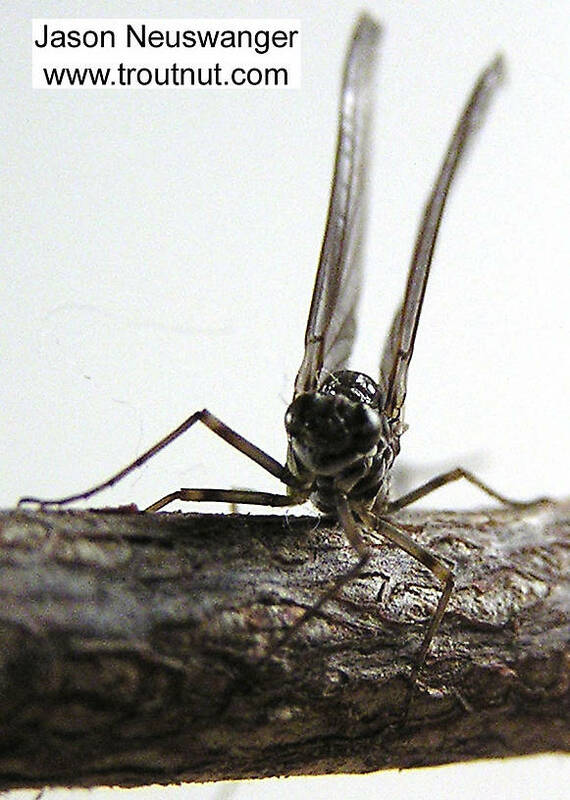 This one hatched in my house after I brought some nymphs home to photograph. 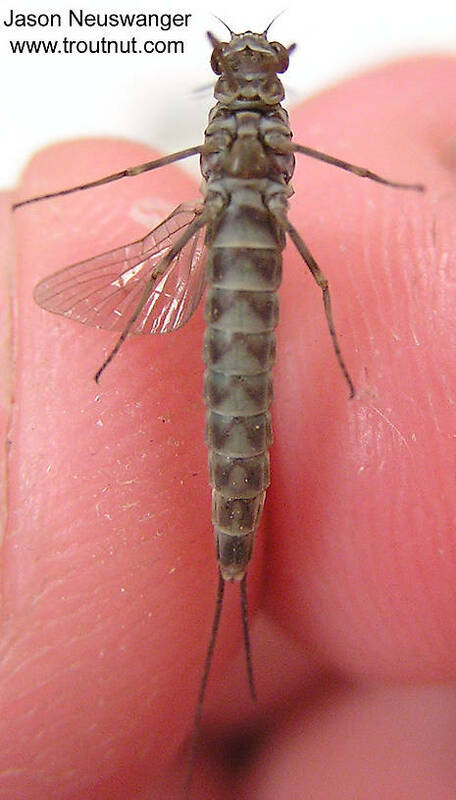 This mayfly was collected from unknown on May 18th, 2004 and added to Troutnut.com on January 25th, 2006. Anybody have any abdomen dubbing/ribbing suggestions to imitate this?